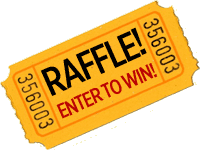 Enter the RAFFLE! Win 4 tickets to a Yankee Baseball Game!!! $10 per ticket – buy as many tickets as you like! Drawing to be held Monday, August 27th at 2:00pm at the 12th Annual CBCF Golf Tournament at Great River Country Club. Ticket holder need not be present to win. Prizes are not redeemable for cash and exclude alcoholic beverages. Copyright © Connecticut Burns Care Foundation. All Rights Reserved.